The Firm, set up in 1978, is operating from Dubai, for more than 40 years and renders a wide range of professional services in the field of accounting, audit and assurance, company formation and corporate services, tax, management consultancy and business advisory. JHIThe Firm is associated worldwide with JHI, an association of over 80 firms and represented in more than 46 countries on six continents, providing accounting, assurance, tax, financial consulting and business advisory services. 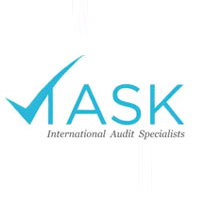 The clients of JHI The Firm is also a member of TASK International, which membership provides access to the Forum of Firms - an association of international networks whose objective is to promote consistent and high quality standards of financial and auditing practices globally. The Firm has two partners ably assisted by a team of qualified accountants and supporting staff.